This is the main code, and takes the input from the ``constracting'' code and allows the user to cut and then twist or tilt. 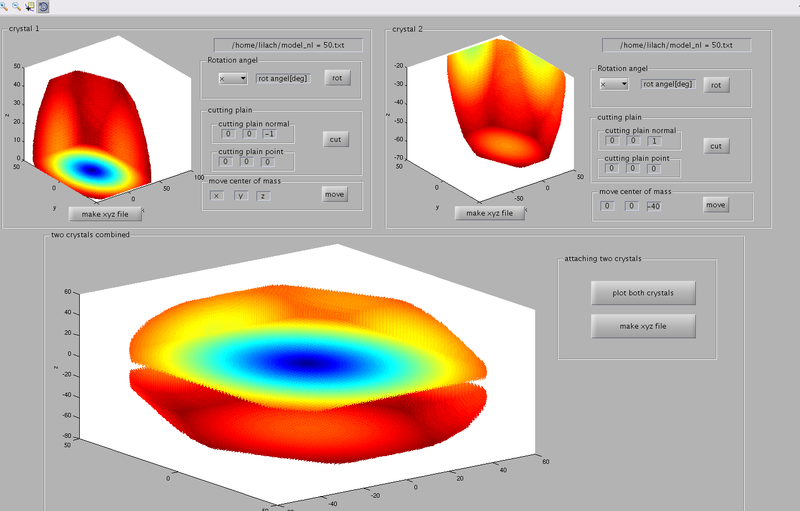 Its output is used to calculate the surface tension, via two GUI codes, one each for the tilted and twisted interfaces. This code also outputs .xyz files of the crystals for use with AViz to image the interfaces.